Looking for you next wardrobe favourite? Well, look no further because this crop tee is printed and sewn to fit you just right. 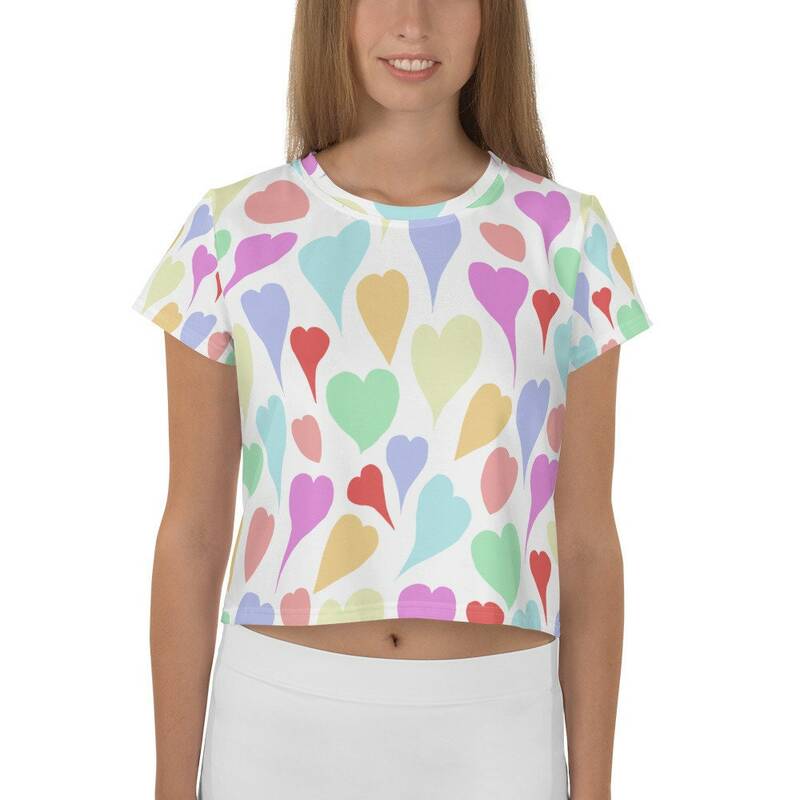 To top that off, the original all-over hearts design is definitely worth showing off, so don't hesitate to own one of these tees - they're meant to be adored. Please use the size guide above to choose your size. I suggest going up in size if your measurements are between sizes. Please allow 5-10 business days for processing and shipping.